Stay Local, Play Local: Fireworks for the Fourth! Our day of independence is almost at hand. Yes, July 4th is a day when we, as Americans, come together to celebrate our independence and freedoms. It&apos;s a day that also falls during the height of summer. During these hot, muggy, and sometimes stormy days, we are always looking for ways to celebrate our independence while attempting to keep cool. This can sometimes be quite the difficult task. With temperatures in central Virginia routinely making a run for the 100-degree mark, and with humidity making it feel even hotter, it&apos;s no wonder why this can be a tall order. Many July 4th celebrations involve swimming pools, cookouts, cold lemonade, watermelon, and even a nice batch of ice cream. (How about peach ice cream, since peaches are in season and so readily available?) But when the sun goes down and the heat begins to wane ever so slightly, July 4th is known for something else. A sparkling spectacle that lights up the night sky with a brilliant and dazzling display of colors. An event with explosions and booms that can almost be confused with the sounds of a gently rolling summer thunderstorm. 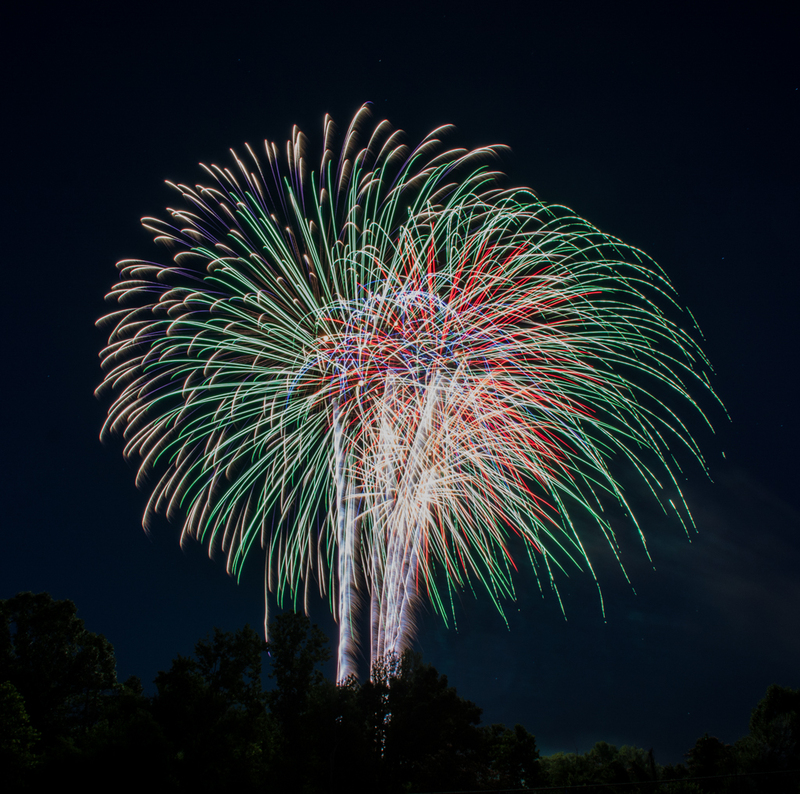 July 4th and fireworks go hand-in-hand and we have several different options to pick from here in Charlottesville and Albemarle County. So pick your location, grab a cool drink, and get ready to celebrate your independence as the fireworks boom and explode over central Virginia! Located on a bend in the James River, a mere 30-minute drive from Charlottesville, Scottsville is known for being a place to have fun in the water while soaking up some sunshine. At night, especially on July 4th, it&apos;s known as a place to soak in some fireworks! 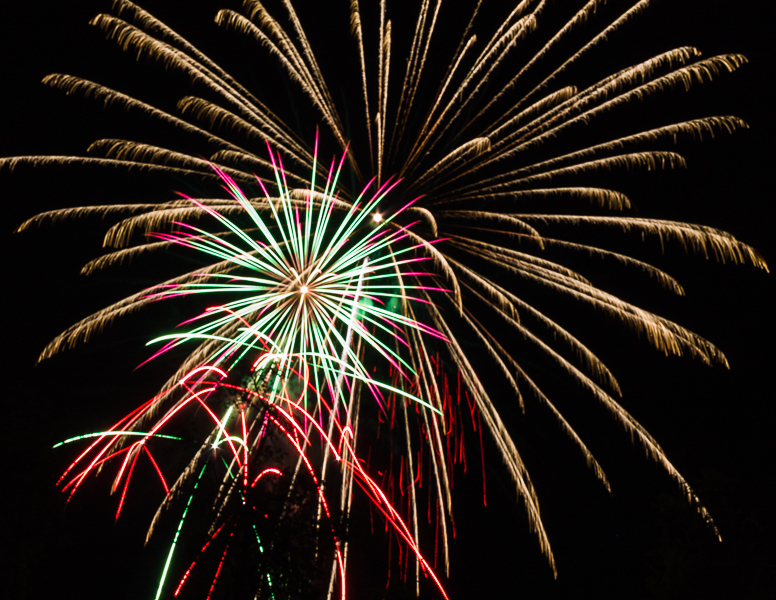 Head to Dorrier Park around dusk (usually around 9:00 pm) and the fireworks will begin to burst in the air, adding a sparkle in the sky over an already sparkling James River. What better way to celebrate Independence Day than with fireworks over the James River on a warm, summer evening? Leading up to the evening fireworks display, July 4th is action-packed in Scottsville. There&apos;s an Independence Day parade in the morning, along with the Scottsville Farmer&apos;s Market, which is a Saturday morning staple in this small town. A short drive west of Charlottesville will bring you to the town of Crozet, located against the gorgeous Blue Ridge Mountains. Have you ever wondered what a fireworks display would look like with this glorious scenery as a backdrop? Wonder no more, as you celebrate Independence Day (on Sunday, July 5) in Crozet! The day kicks off with a parade that begins at 5:00 pm at Crozet Elementary School and goes through downtown Crozet, ending at Claudius Crozet Park. Once you arrive at the park, get ready for food, music, and yes, a fireworks show! 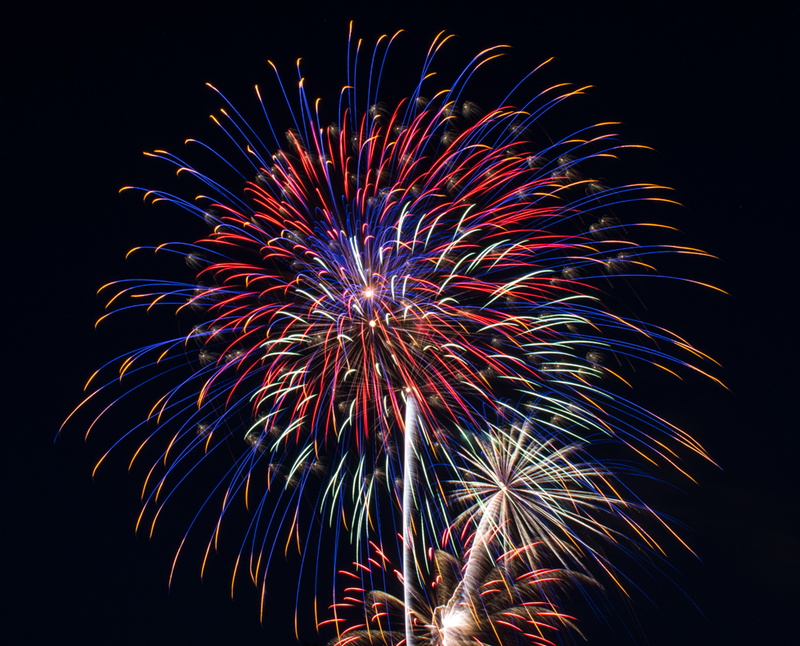 The fireworks typically begin around 9:30 pm and are sure to leave you breathless, as you spend your Independence Day in this friendly, vibrant town! Regardless of how you spend July 4th this year, Albemarle County and Charlottesville give you several options for celebrating, while not having to stray very far from home. So this year, we encourage you to check out "Patriotism in the Park" or incorporate Scottsville&apos;s July 4th festivities into your plans. Then, stop by Crozet on July 5th to keep the celebration going! Stay local, play local - and enjoy the nation&apos;s birthday right here in Charlottesville and Albemarle County! Happy birthday, United States of America!